Love To Garden? Tired of all the work involved? 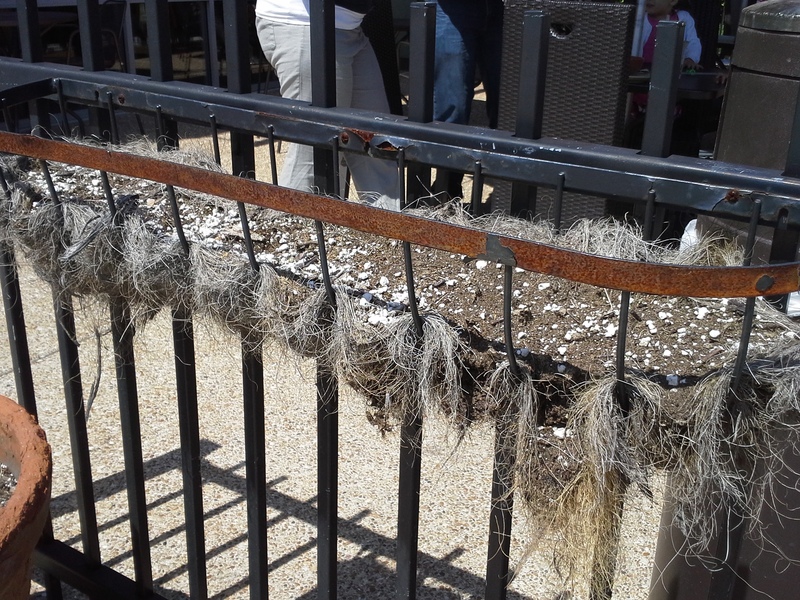 Try a Gutter Garden™! 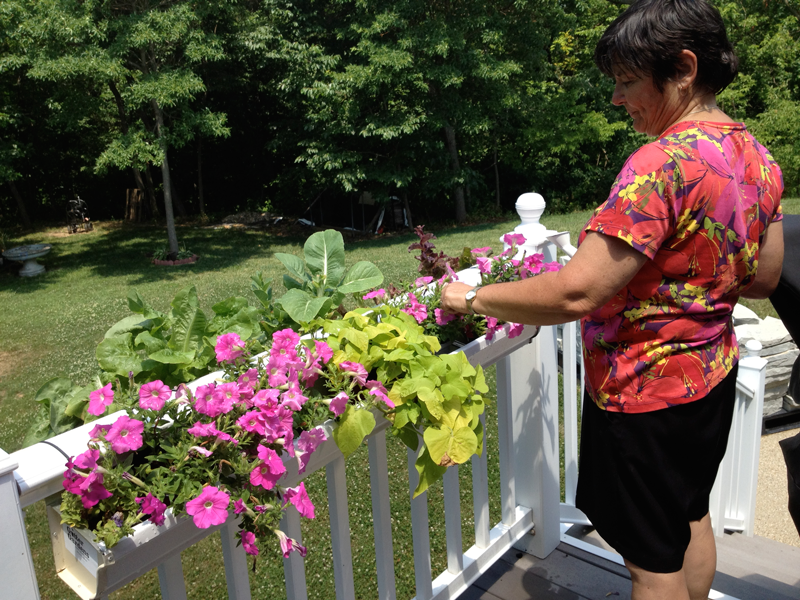 Try a Gutter Gardens™ deck or balcony planter box and see how much easier gardening can be! There is nothing like a garden to appreciate the good things in life. 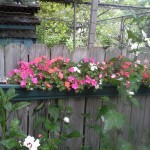 Fresh air, sunshine, eating plants that you grew, grabbing fresh herbs while cooking, watching things bloom and flower. 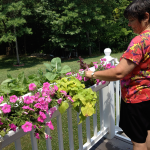 To many, gardening is sort of therapeutic…spiritually, emotionally, physically. ‘Stand Up and Garden’ is the motto of Gutter Gardens™ for those of use who aren’t fond of the ‘up and down’ aspect of gardening. 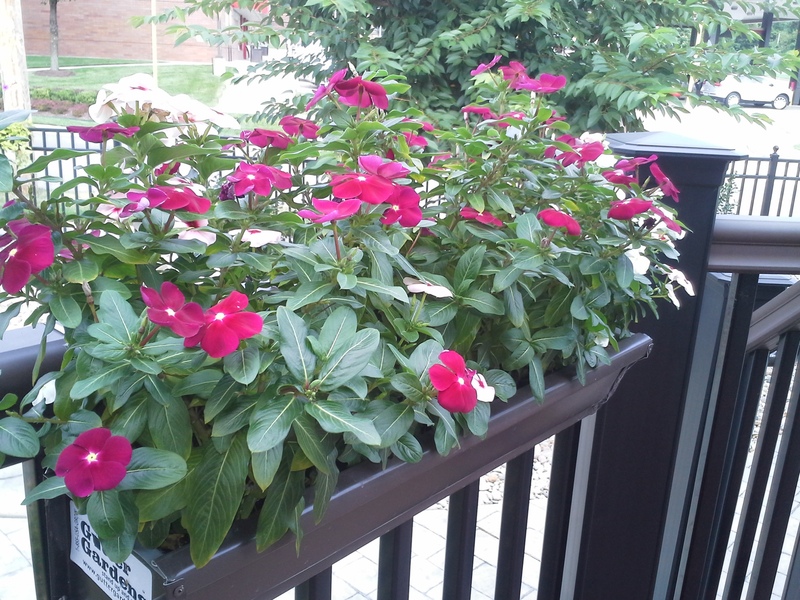 We think we have mastered deck and balcony gardening by using aluminum metal planter boxes. To see our pricing, click on the Products in the drop-down Menu. Select the Indoor, or Outdoor. 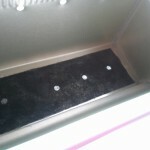 Prices are based on the length and width of each Gutter Garden. Please be patient with our website. Call us if you have any trouble…we are gardeners, not webmasters! 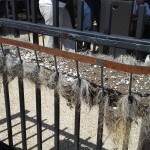 Gutter Gardens™ was created to make gardening easier. 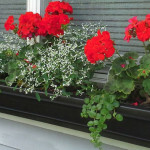 By hanging or screwing long-lasting aluminum planter boxes (made from rain gutter material) from nearby decks, as window boxes, on balconies or fences, much of the hard work and hassles are nearly eliminated. Firstly, you can Stand Up and Garden because your flowers, herbs and veggies are within reach. Second, you are no longer in competition with rabbits, deer, or slugs. Finally, those days of dealing with weeds while dragging hoses around to water- – are history. 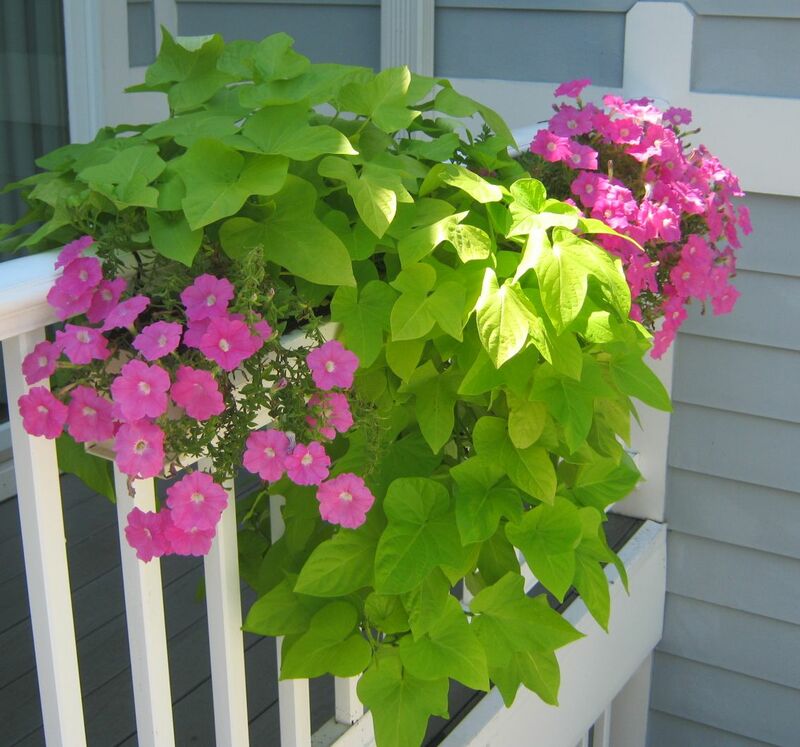 Originally designed with drainage holes to hang outside, Gutter Gardens™ now has indoor products which are watertight. Put those favorite herbs right on your counter-top or windowsill. You can forget about water spilling over their saucers. These indoor planters are perfect for plants you purchase already in containers to keep indoors or to await transplanting. 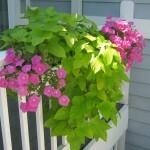 These planters are a great gift idea to the gardeners in your life who live in apartments or condos. Think of ways to garden while standing up. 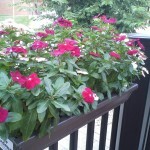 Hang containers on a deck or place them on tables or retaining walls. This keeps rabbits and deer from getting to them. Avoid carrying heavy bags of potting mix. Although buying in bulk may be less expensive, it isn’t worth hurting your back. Consider a wheeled cart or wheel barrel. Use a quality potting mix, not top soil or garden dirt. (Think light, airy soil mix.) Some mixes come with water-conservation amendments that should require less watering. 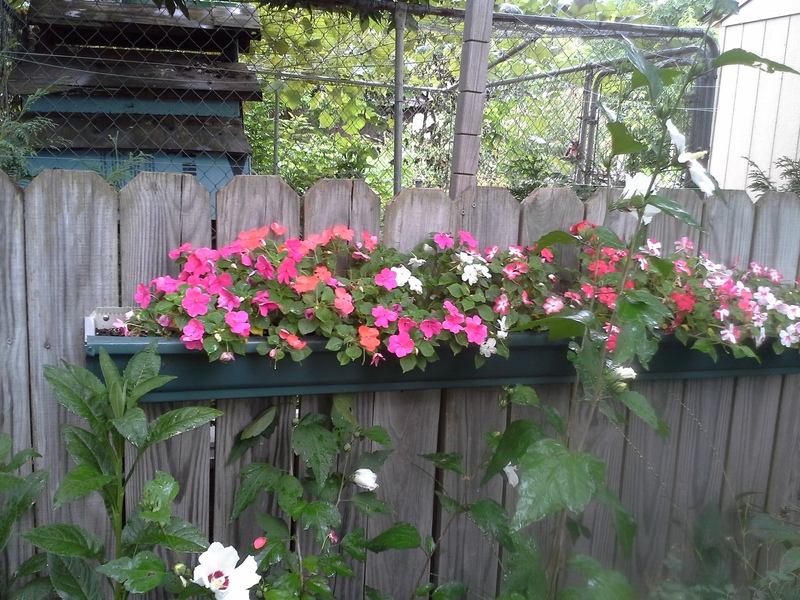 If your potting mix doesn’t contain fertilizer, use water-soluble plant food every other day. If it has three, six or nine months of slow-release food, begin using plant food after that period. Read and follow label instructions on sun/shade requirements that come with the plant or seed packet to get best results. 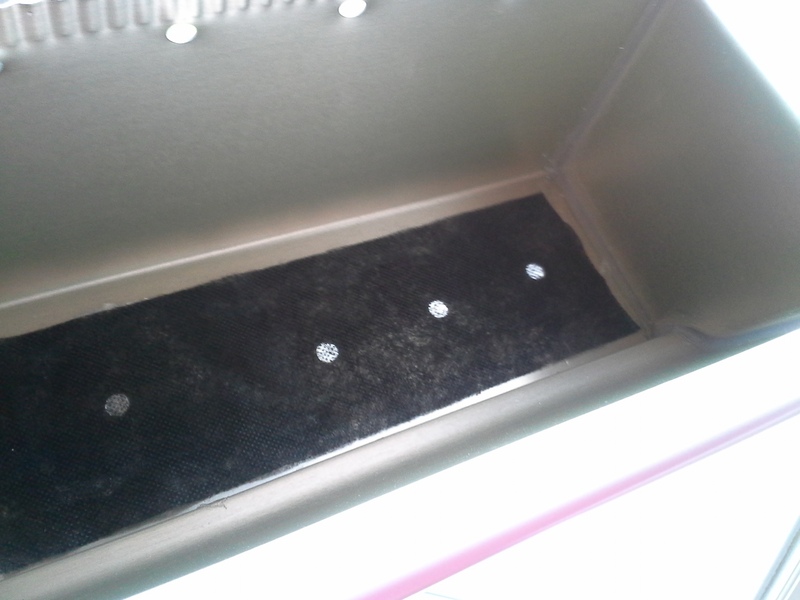 Be certain that your container has adequate drainage. Otherwise, plant roots could be deprived of oxygen, causing them to drown. This includes draining the catch saucer after a very heavy rain. Consider using about ½ inch of fine mulch in a container to minimize watering. If the plants you purchase are root-bound, tease them out (I use a kitchen fork) and cut off about a third before putting them in containers. Refill watering cans (and extra gallon jugs) every time you water. That way, when you are in a hurry, the plants won’t suffer. I prefer using a gallon spout (versus sprinkle) watering can. It isn’t too heavy, and I can direct the water where I want it. If you harvest more herbs than you can use, chop them and freeze them in distilled water in ice cube trays. Once the herbs are frozen, store them in labeled zipper-lock baggies. Then they’re ready to use in recipes.